Sometimes, however, the drones are more like the camel’s tail, arriving after less visible U.S. military forces have been in an area for a while. AFRICOM, the Pentagon’s Africa Command, is building Air Base 201 in Agadez, a town in the nation of Niger. The $110-million installation, which officially opens later this year, will be able to house both C-17 transport planes and MQ-9 Reaper armed drones. It will soon become the new centerpiece in an undeclared U.S. war in West Africa. Even before the base opens, armed U.S. drones are already flying from Niger’s capital, Niamey, having received permission from the Nigerien government to do so last November. Despite crucial reporting by Nick Turse and others, most people in this country only learned of U.S. military activities in Niger in 2017 — and had no idea that about 800 U.S. military personnel were already stationed in the country — when news broke that four U.S. soldiers had died in an October ambush there. It turns out, however, that they weren’t the only U.S soldiers involved in firefights in Niger. In March 2018, the Pentagon acknowledged that another clash took place the previous December between Green Berets and a previously unknown group identified as ISIS-West Africa. For those keeping score at home on the ever-expanding enemies list in Washington’s war on terror, this is a different group from the Islamic State in the Greater Sahara, responsible for the October ambush. Across Africa, there have been at least eight other incidents, most of them in Somalia. What are U.S. forces doing in Niger? Ostensibly, they are training Nigerien soldiers to fight the insurgent groups rapidly multiplying in and around their country. Apart from the uranium that accounts for over 70 percent of Niger’s exports, there’s little of economic interest to the United States there. The real appeal is location, location, location. Landlocked Niger sits in the middle of Africa’s Sahel region, bordered by Mali and Burkina Faso on the west, Chad on the east, Algeria and Libya to the north and Benin and Nigeria to the south. In other words, Niger has the misfortune to straddle a part of Africa of increasing strategic interest to the United States. In addition to ISIS-West Africa and ISGS, actual or potential U.S. targets there include Boko Haram, ISIS and Al Qaeda in the Lands of the Islamic Maghreb in Libya, and Al Mourabitoun, based primarily in Mali. Suppose a missile happens to kill some Nigerien civilians by mistake — not exactly uncommon for U.S. drone strikes elsewhere? Not to worry. AFRICOM is covered. A U.S.-Niger Status of Forces Agreement guarantees that there won’t be any repercussions. In fact, according to the agreement, “the parties waive any and all claims … against each other for damage to, loss, or destruction of the other’s property or injury or death to personnel of either party’s armed forces or their civilian personnel.” In other words, the United States will not be held responsible for any “collateral damage” from Niger drone strikes. Another clause in the agreement shields U.S. soldiers and civilian contractors from any charges under Nigerien law. The introduction of armed drones to target insurgent groups is part of AFRICOM’s expansion of the U.S. footprint on a continent of increasing strategic interest to Washington. In the nineteenth and early twentieth centuries, European nations engaged in the “scramble for Africa,” a period of intense and destructive competition for colonial possessions on the continent. In the post-colonial 1960s and 1970s, the United States and the Soviet Union vied for influence in African countries as diverse as Egypt and what is now the Democratic Republic of the Congo. Cobalt is essential in the manufacture of today’s electronic devices — from cell phones to drones — and more than half of the world’s supply lies underground in the DRC. 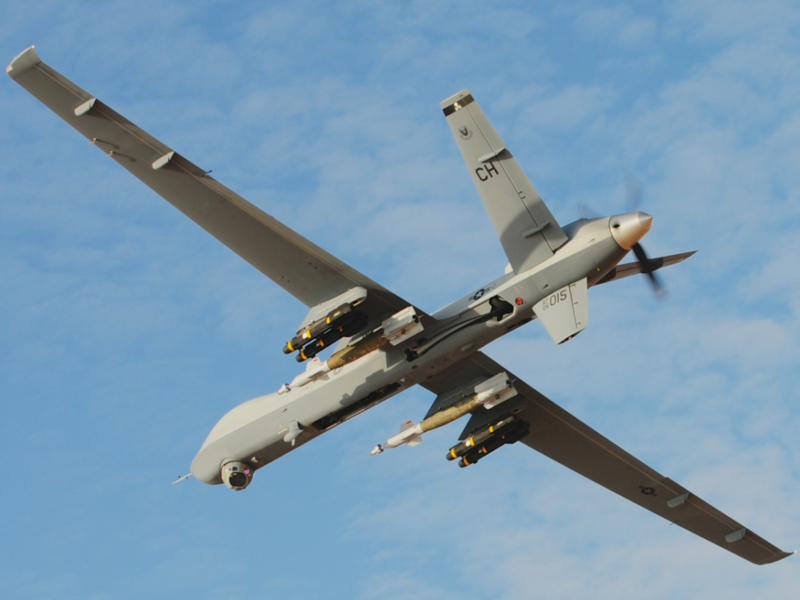 Even before breaking ground on Air Base 201 in Niger, the United States already had a major drone base in Africa, in the tiny country of Djibouti in the Horn of Africa, across the Gulf of Aden from Yemen. From there, the Pentagon has been directing strikes against targets in Yemen and Somalia. “Djibouti is a very strategic location for us,” AFRICOM commander Gen. Thomas Waldhauser told Congress in March 2018. Camp Lemonnier, as the base is known, occupies almost 500 acres near the Djibouti-Ambouli International Airport. U.S. Central Command, Special Operations Command, European Command and Transportation Command all use the base. At present, however, it appears that U.S. drones stationed in Djibouti and bound for Yemen and Somalia take off from nearby Chabelley Airfield, as Bard College’s Center for the Study of the Drone reports. To the discomfort of the U.S. military, the Chinese have recently established their first base in Africa, also in Djibouti, quite close to Camp Lemonnier. That country is also horning in on potential U.S. sales of drones to other countries. Indonesia, Saudi Arabia and the United Arab emirates are among U.S. allies known to have purchased advanced Chinese drones. From the beginning, the CIA’s armed drones have been used primarily to kill specific individuals. 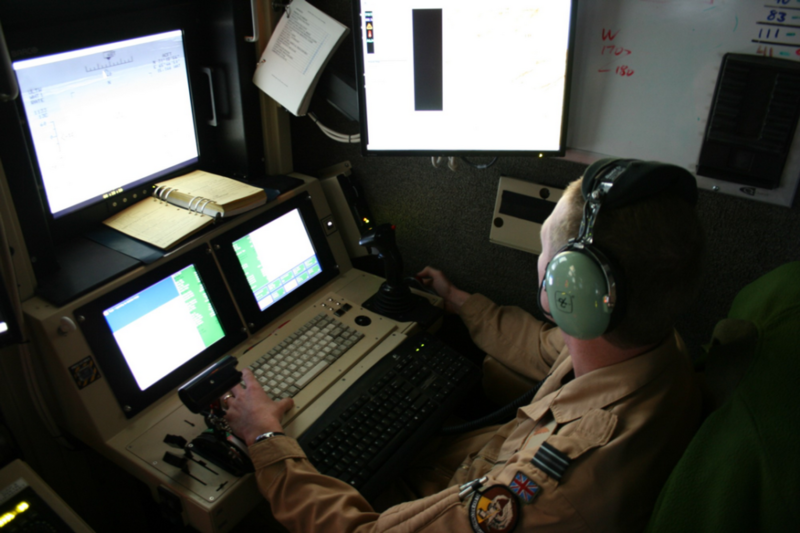 The Bush administration launched its global drone assassination program in October 2001 in Afghanistan, expanded it in 2002 to Yemen, and later to other countries. In later years, the kill lists grew to include supposed leaders or members of a variety of other terror organizations, and eventually even unidentified people engaged in activities that were to bear the “signature” of terrorist activity. But those CIA drones, destructive as they were, were just the camel’s nose — a way to smuggle in a major change in U.S. policy. We’ve grown so used to murder by drone in the last 17 years that we’ve lost sight of an important fact: such assassinations represented a fundamental and unlawful change in U.S. military strategy. Because unpiloted airplanes eliminate the physical risk to American personnel, the United States has embraced a strategy of global extrajudicial executions: presidential assassinations on foreign soil. Successive administrations have implemented this strategic change with little public discussion. Critiques of the drone program tend to focus — not unreasonably — on the many additional people who are injured or die along with the intended targets, and on civilians who should never have been targets in the first place. But few critics point out that executing foreign nationals without trial in other countries is itself wrong and illegal under U.S. law, as well as that of other countries where some of the attacks have taken place, and of course, international law. How have the Bush, Obama and now Trump administrations justified such killings? The same way they justified the expansion of the War on Terror itself to new battle zones around the world — through Congress’s September 2001 Authorization for the Use of Military Force. George W. Bush launched the CIA’s drone assassination program and that was just the beginning. Even as Obama attempted to reduce the number of U.S. ground troops in Iraq and Afghanistan, he ramped up the use of drones, famously taking personal responsibility for targeting decisions. By some estimates, he approved 10 times as many drone attacks as Bush. However, it shouldn’t be too hard to guess. It’s clear, for instance, that Trump has no qualms about the CIA’s involvement in drone killings. When he visited the Agency’s headquarters in Langley, Virginia, the day after his inauguration, “Trump urged the CIA to start arming its drones in Syria. ‘If you can do it in 10 days, get it done,’ he said,” according to the Post. The Times points out that this “new approach would appear to remove some obstacles for possible strikes in countries where [Al] Qaeda- or Islamic State-linked militants are operating, from Nigeria to The Philippines.” And no longer will attack decisions only be made at the highest levels of government. The requirement for having a “near certainty” of avoiding civilian casualties — always something of a fiction — officially remains in place for now, but we know how seriously Trump takes such constraints. He’s already overseen the expansion of the drone wars in other ways. In general, that “near certainty” constraint doesn’t apply to officially designated war zones, where the lower standard of merely avoiding unnecessary civilian casualties prevails. In March 2017, Trump approved a Pentagon request to identify large parts of Yemen and Somalia as areas of “active hostility,” allowing leeway for far less carefully targeted strikes in both places. At the time, however, AFRICOM head Gen. Thomas D. Waldhauser said he would maintain the “near certainty” standard in Somalia for now — which, as it happens, hasn’t stopped Somali civilians from dying by drone strike. Another change affects the use of drones in Pakistan and potentially elsewhere. Past drone strikes in Pakistan officially targeted people believed to be “high value” Al-Qaeda figures, on the grounds that they represented an “imminent threat” to the United States. However, as a 2011 Justice Department paper explained, imminence is in the eye of the beholder. “With respect to Al-Qaeda leaders who are continually planning attacks, the United States is likely to have only a limited window of opportunity within which to defend Americans.” In other words, once identified as an al-Qaeda leader or the leader of an allied group, you are by definition “continually planning attacks” and always represent an imminent danger, making you a permanent legitimate target. So the use of drones to attack insurgent groups inside Pakistan represents an unacknowledged escalation of the U.S. Afghanistan war. Another corner of the tent lifted by the camel’s nose? Transparency about U.S. wars in general, and airstrikes in particular, has also suffered under Trump. The administration, for instance, announced in March that it had used a drone to kill “Musa Abu Dawud, a high-ranking official in Al Qaeda in the Islamic Maghreb,” The New York Times reported. Similarly, the administration has been less than forthcoming about its activities in Yemen. As the Business Insiderreported in a story updated from the Long War Journal, the United States has attacked Al Qaeda in the Arabian Peninsula there repeatedly, but “of the more than 114 strikes against AQAP in Yemen, CENTCOM has only provided details on four, all of which involved high value targets.” Because Trump has loosened the targeting restrictions for Yemen, it’s likely that the other strikes involved low-level targets, whose identity we won’t know.